Line 12 muffin cups and set aside. In a large bowl (or preferably food processor), combine bananas, eggs, and nut butter. Add remaining ingredients and process/mix until smooth. 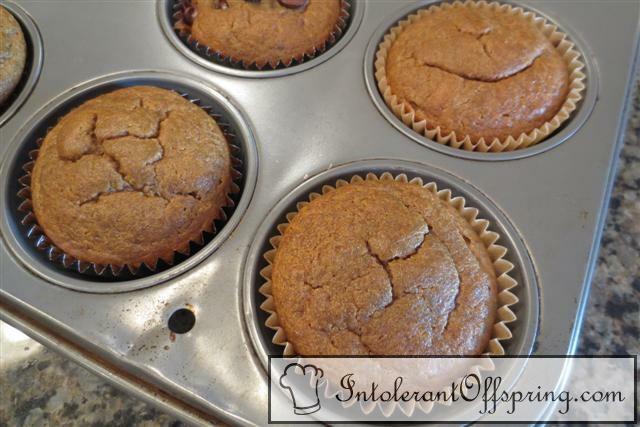 Pour into sprayed muffin cups and bake at 350 for 20-25 minutes or until a toothpick comes out clean.